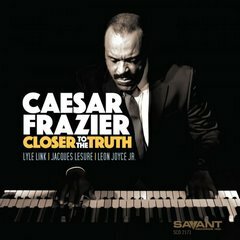 2019 release from the Hammond B-3 master. Caesar is an entertainer so unique, that one musical genre does not adequately describe his performance skills. One of the numerous highlights of his musical career include the time he spent traveling on mega concert tours as Marvin Gaye's keyboard accompanist. While working with Marvin and having personal conversations regarding musical concepts, the lessons learned left their foot print on his understanding of effective performance. Caesar grew up hearing and being forever influenced by many of America's greatest artist that covered most all of the popular music genres. "I heard the greatest country artist, blues artist, rock and roll artist, rhythm and blues artist. And, loved it all."